Sixth grade students Elwen Bernard, 12, left, and Naomi Zarin, 10, listen with Head of School Jenny Rowe as Building Committee chair Naomi Beal explains how the unique Passive House Design construction makes for a very energy efficient school. 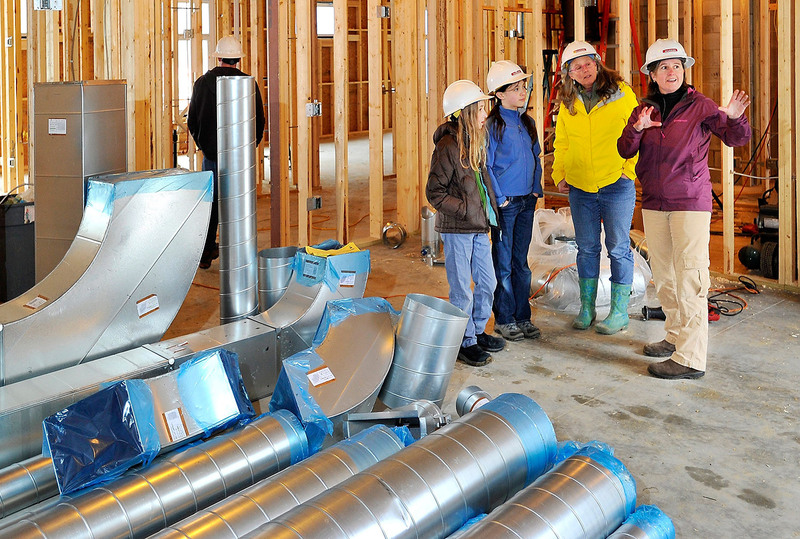 The exterior of the Friends School of Portland features six layers of energy efficient materials including insulation and interior and exterior finish materials, plus unique large triple-plate glass south-facing windows, according to Project Manager Dave Merrill. 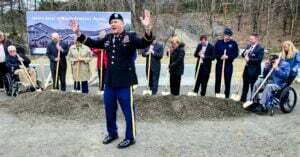 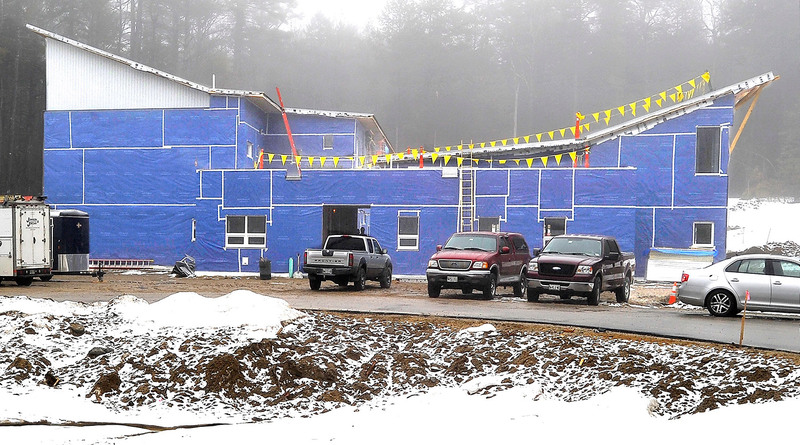 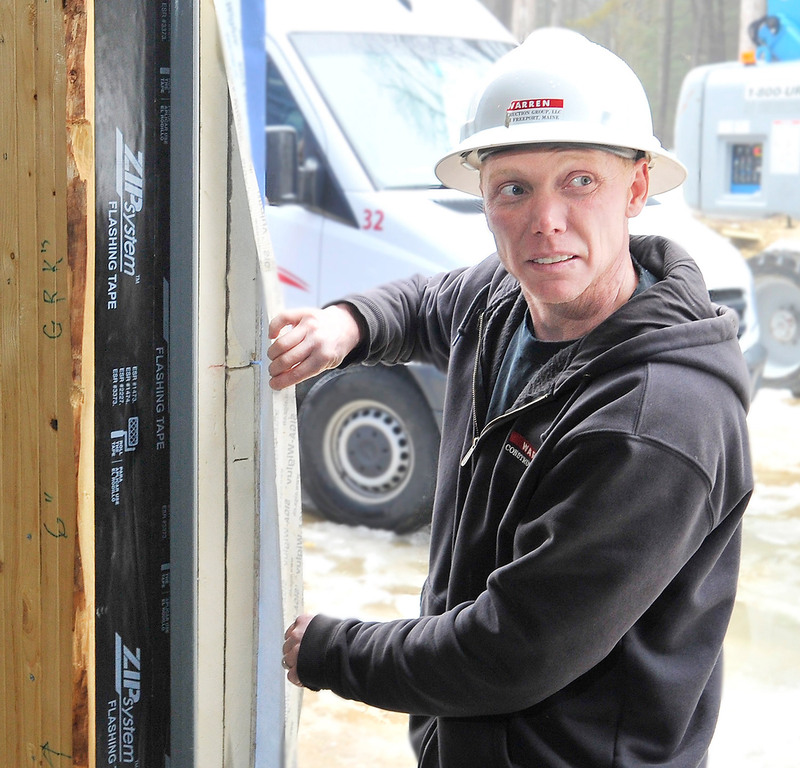 Mike Matthes, supervisor for Warren Construction Group, shows the six layers of material that create an air-tight barrier in all of the school's walls. 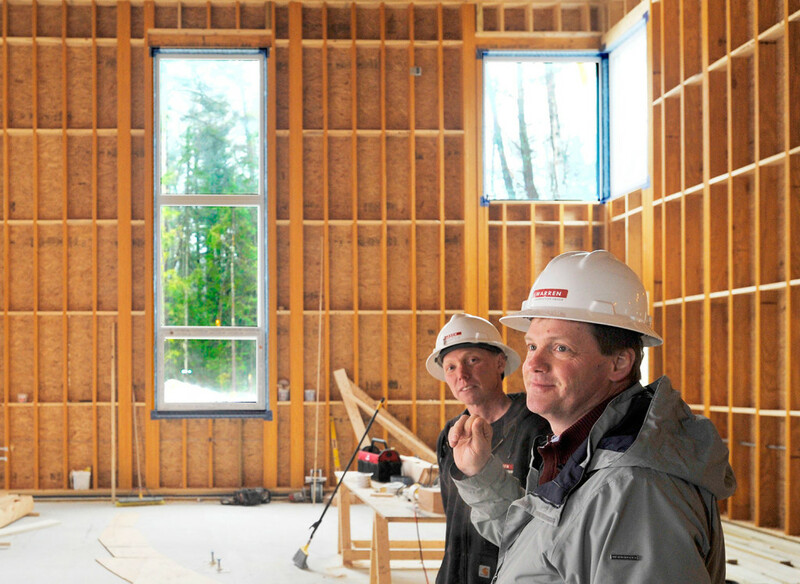 Matthes, left, and Project Manager Dave Merrill explain during a tour school being built in Cumberland that the large triple glass windows at the Friends School of Portland will let in natural daylight from the south to save on electric light energy. 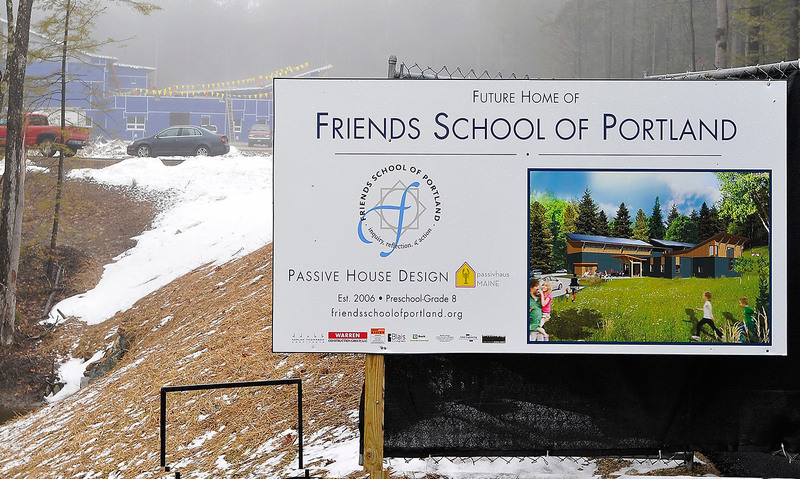 A large colorful sign at the entrance to the grounds tells the story of the first Passive House Design school built in Maine.